Forum For Chinese Democracy Or The Status Quo? What troubling currents are flowing through the Federation for a Democratic China (FDC), an organization dedicated to human rights, democracy and freedom? It seems to be targeted by the corrosive influences of the CCP. Should you consider such as the ramblings of baseless conspiracy have a look at the website of the Forum for a Democratic China and Asia. It features a curious agenda that seems strangely remote from championing human rights and freedoms that no doubt will attract criticism as being a dilution of the core principles and objectives of the FDC. 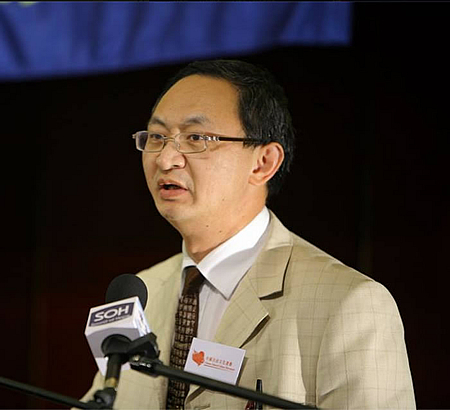 Indeed one prominent figure within the organization will be boycotting the Forum and issued a public reassurance that the FDC will continue to promote democracy and human rights in China, and continue its call for an end of single party regime. 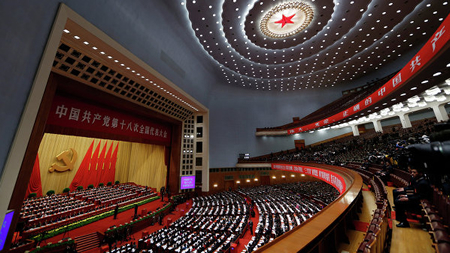 The wording of the Forum’s agenda is surely a matter of concern to the Federation For A Democratic China, which while not the organizing authority for the meeting, nor author will be deeply unhappy about this event. ‘First, adhere to the principle of peaceful, rational and non-violent, Abandon the idea and means of “violent revolution”. Second, the non-violent movement need to be brought from human rights, politics to other areas of the national and people’s daily living in social activities, For example: the establishment of an effective anti-corruption system, to curb housing prices, focus on employment, social security system, and the abolition of the urban and rural household registration system. Third, China’s social democratic movement is a comprehensive renovation project requires attention and participation of the whole society. Many tireless activists for China’s freedom and democracy will no doubt be extremely disappointed by such assertions, and while social and economic issues are of importance, these should not be at the cost of excluding individual freedoms. The syntax featured in the Agenda has a worrying similarity to that used by the CCP in its National People’s Congress, cynical euphemisms and distractions that evade any genuine respect of human rights and freedom, while promoting blind loyalty to the Regime! On what basis does the author, Mr Fei Liangyong, a former President of the FDC, demand that violence be abandoned as a means of revolution? As far as we can determine the Federation For A Democratic China, and indeed the present demonstrations in Hong Kong, have not called for, nor exercised violence. That is the bloody specialism of the Chinese Regime! It appears to be something of a fallacy therefore, especially given that the FDC rejects violence and revolutionary ideas in words and deeds. Secondly it is the terrorism of China’s authorities which surely demands to be exposed and challenged at the forthcoming Forum, not issuing demands of China’s people who have neither the resources or ability to mobilize any violent revolution! Thirdly the Agenda of the Forum fails to acknowledge that it is China’s people who are the victims of violence, as observed most recently during the Occupy Hong Kong movement, imposed by a merciless regime. Yet the state-engineered repression and abuse seems strangely absent from the Forum’s agenda, instead demands are made ordinary citizens to end civil resistance! Surely a forum dedicated towards democratic values should be standing in unquestioned solidarity with the people, not proposing compromises and tolerance towards a regime that seeks to maintain its corrupt and oppressive grip!